Britain’s round of the 2012 World Rally Championship, Wales Rally GB, will be held this year from the 13th – 16th September and will return to the world famous Walters Arena Motorsport Complex, last used for the WRC event in 2009. For the third consecutive year, Wales Rally GB will also play host to a complementary National event – competitors in the Wales Rally GB National will also compete on the Likes Land Rover at Walters Arena stage on the Sunday. For 2012, the venue will host the Likes Land Rover at Walters Arena Qualifying Stage on Wednesday 12th September and two competitive stages on Sunday 16th September, including the final Power Stage where crucial extra points will be on offer which could decide the event’s winner. The Walters Arena Motorsport Complex is owned and operated by plant hire and civil engineering business, The Walters Group. The site hosts a variety of activities throughout the year, including manufacturer testing and driver training, as well as accommodating the BMW Off Road School attended by Ewan McGregor and Charlie Boorman before their worldwide adventures. In the three years since the venue was last used for Wales Rally GB, Walters Arena has undergone a series of infrastructure investments and is being transformed into an Eco Park, featuring thirteen wind turbines and miles of access roads, which are now available for rallying. The Walters Arena Qualifying, Sunday morning and Power Stages for the 2012 Wales Rally GB have been supported by Likes Land Rover at Walters Arena, a reference to the successful Walters Group Land Rover and Range Rover dealership situated between Brecon and Hay-on-Wye. The Wales Rally GB National, which takes place on Friday 14th, Saturday 15th and Sunday 16th September, will utilise many of the stages of this year’s pan-Wales WRC route, including the Likes Land Rover at Walters Arena stage on Sunday 16th September. Wales Rally GB National is open to both historic and contemporary cars. Registrations for the event, which has been oversubscribed in previous years, will open from Wednesday 11th July 2012, with the final closing date falling a month later on Tuesday 14th August 2012. The maximum number of entries for the event is 100, with the first 100 entries received before the closing date being accepted on a ‘first come, first served’ basis. All other entries received will be advised if they have been accepted after 14th August 2012, when additional capacity on the event may be made available. The entry fee for the event will be £665 +VAT. 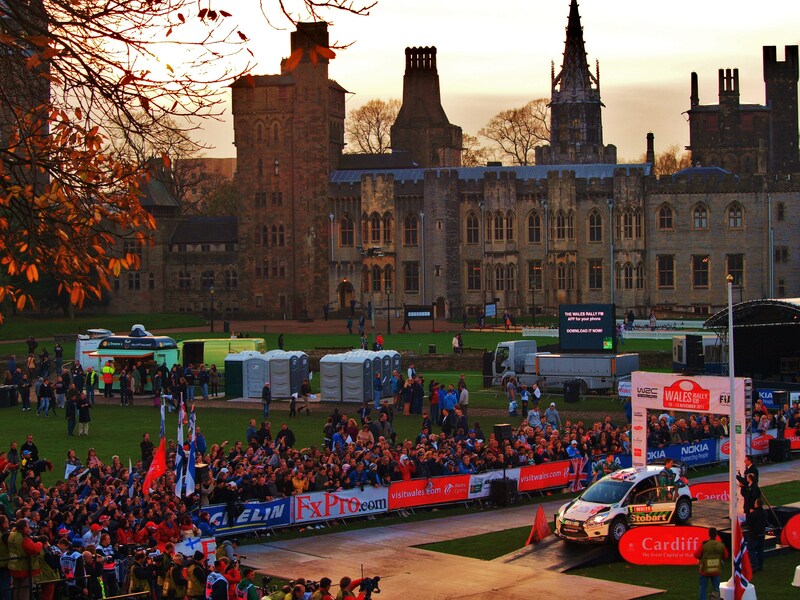 Covering over 100 miles of classic Welsh forest stages, Wales Rally GB National will be based out of Cardiff, with the finish ceremony taking place on the international podium in Cardiff Bay on Sunday 16th September. Competitors will start day one in Newtown, before tackling nearly 13 miles in Dyfnant, 15 and a half miles in Hafren Sweet Lamb and over 17 miles in Myherin. On Saturday, the action will move to Crychan for just over 12 miles, followed by around five miles in Epynt and 11 and a half miles in Halfway. The event will culminate on Sunday, with almost 11 miles in Port Talbot, 5 and a half miles in Rheola and the 9 and a half mile Likes Land Rover at Walters Arena stage.